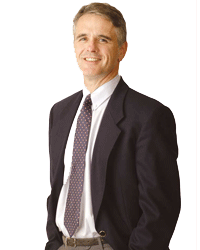 Tony has over 20 years’ business and consulting experience in the U.S. and Canada. His expertise spans the financial, retail, healthcare, and manufacturing industries. He is a successful leadership consultant, coach, and facilitator with an extensive track record of enhancing employee and organizational development, performance, and growth. Tony is also widely recognized as a leader in customized leadership development, team building, and executive coaching processes that enable organizations to achieve their strategic goals. He has experience in the areas of leadership development, executive coaching, succession planning, executive team development, and change management. Tony has provided consulting services to an array of clients including: Harley Davidson, AT&T, Coors, Kodak, Aliant, Hewlett Packard, IWK Health Centre, Capital Health District, Catholic Health Initiatives, Farmers Dairy, Halifax International Airport Authority, RCMP, Nova Scotia Transportation and Public Works, Crombie Properties, Michelin, Southwest Properties, Nautel, Lafarge NA, Keane Canada, High Liner Foods, and Scotsburn Cooperative. Tony has also co-designed and co-facilitated, Envision Halifax, which is a community leadership development program. He is also an adjunct faculty member at St. Mary’s University. Tony has a Ph.D. in Organization and Management from Capella University in Minneapolis, MN. His research was a qualitative case study that explored the way new CEOs learn and adapt in their new role in their first year. Tony also has a Master’s of Science in Management from Regis University in Denver and a Bachelor of Arts Degree in Political Science from the University of Toronto. He is certified in MBTI, FIRO-B, Social Styles, Personal Directions, LEA 360, Denison Organizational Culture and Leadership assessments, and LISten 360.